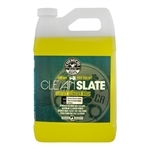 Clean Slate Surface Cleanser Wash is a premium car soap that strips away old wax before a full detail. 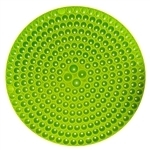 The advanced cleaning formula removes dirt, debris, and old layers of wax to prepare the surface for further detailing treatments or vehicle wrapping. 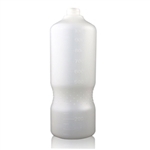 Clean Slate is super-concentrated for maximum cleaning power, and rinses clean without any residue. Swift Wipe Waterless Car Wash is the next generation waterless detailing system. 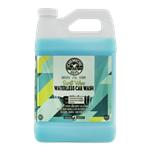 Swift Wipe Waterless Car Wash cleans, shines, and protects without installing any swirls or scratches. 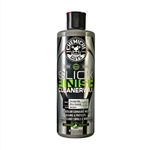 The waterless detailing system finishes with a coat of optical gloss enhancers to ensure your car is getting washed and pampered in one step. 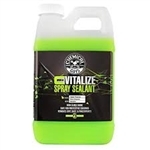 Carbon Flex Vitalize Spray Sealant is specifically designed to maintain and enhance protective coatings. 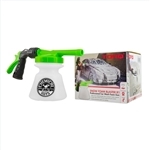 The innovative spray sealant uses coating technology to protect vehicles in all weather conditions. Chemical Guys Total Interior Cleaner & Protectant is the first detailing product that’s formulated gentle enough to clean any hard, soft, clear, or shiny interior surface. Clean the windshield to crystal-clarity, wipe dust off the dashboard, and remove body oils and grime from leather seats and upholstery. Hybrid V7 Wax is blended with synthetic wax sealant polymers to extend the protection and beautiful shine of the natural wax for months on end. 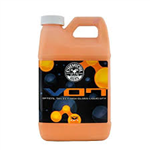 Hybrid V7 Optical Select Liquid Wax it is unlike any other wax - it is a hybrid product that combines the look of a wax with the protection of a sealant. 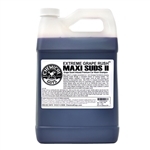 he soap solution bottle is a crucial element that is sensitive to mishandling and mistakes often made when detailing, so Chemical Guys now offers replacement units to keep your foam cannon working for you. Should your bottle fail, replace it immediately. French Vanilla Bean Scent is formulated with unique water-based fragrances to smell like the rich, lustrous flavor of French vanilla ice cream. Superior fragrances deliver fresh, organic scents, not chemicals. 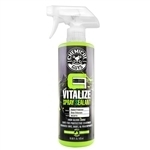 The French Vanilla Scent Premium Air Freshener & Odor Eliminator is a concentrated long lasting premium air freshener with natural enzymatic odor elimination properties to eliminate odor and reduce recurring odor. "The Smell of Success" The perfect potion derived from that ooh-so familiar scent you simply will not smell anywhere else. The enchanting memory from which this scent is aroused is the never-to-forget evening out to an elegant club where the shiny glow of the copper poles was almost as exciting as the tantalizing fragrance that filled the air.